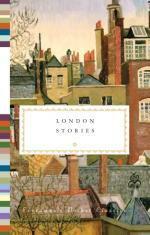 A selection of new books about the capital. All can be found in or ordered from your local independent book shop. If you want to read about London but don't have the time, patience or long enough commute for anything full length, try dipping into one of these anthologies. 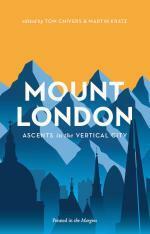 An eclectic collection, this, from Penned in the Margins, about London's physical and spiritual high points. Hills are walked and pondered; of the natural and grassy variety, but also urban and barely noticed, as well as man-made. Some essayists take a historical view, some a personal view, some talk about the literal view. The themes and plots in these two collections may not be specifically Londoncentric (though some do fit that bill), but they come from from the home of one of London's best and brightest literary nights: Book Slam. 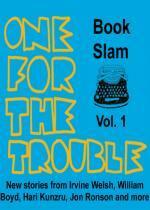 It's a bookish party with readings from big names and rising stars, plus live music and DJs. The stories are mainly fiction, from Irvine Welsh, David Nicholls, Bernadine Evaristo, Jon Ronson, Jeremy Dyson and Jesse Armstrong as well as stalwarts of the live lit scene like Nikesh Shukla, Kate Tempest, Tim Key, Luke Wright and Joe Dunthorne (again). It's the perfect way to discover voices you may not have heard of yet mixed in with current favourites — also a fitting description for the Book Slam night. A third collection is on its way, we hear, so keep your eyes peeled. Everyman's Pocket Classics has published this compact, but comprehensive (at 429 pages) guide to London's literary lights over the last 400 years. Compiled by Jerry White, you can get first hand accounts of the Great Fire and 1603 plague, reportage and short stories from some of the great writers of various ages, including a spot of Sherlock Holmes. Must reads are the accounts by William Makepeace Thackeray of Francois Benjamin Courvoisier's hanging outside Newgate in 1840, and Frederick Treves's affecting history of John Merrick AKA The Elephant Man. We'd also like to point your attention — in a book full of riches — to Mollie Painter-Downes's story Good Evening, Mrs Craven, and Doris Lessing's defence of the Underground.